The case now returns to the trial court, where a hearing is scheduled today. While the states – and in particular Kansas SoS Kris Kobach, who argued the case before the DC Circuit because the U.S. Department of Justice declined to defend the case – could seek review by the U.S. Supreme Court, such review is unlikely, given an 8-member sharply divided Court. As UC-Irvine’s Rick Hasen says, “good luck trying to find a fifth vote“, which would be necessary to overturn the DC Circuit’s order. While this action likely settles the issue for November 2016, it doesn’t settle it forever. The panel, citing the Supreme Court’s ruling in the Inter-Tribal case, notes that the states can still ask the EAC to include the proof-of-citizenship requirements on the federal form – and then sue if that request is denied or isn’t acted upon in a timely manner. Such a request would put the EAC on the record in a formal vote (as opposed to a letter by the Executive Director). But given that 1) the EAC requires three votes for approval 2) current Commissioners appear to be split 2-1 in favor on the issue and 3) a vacancy likely to be filled (if at all) by a no vote, continued litigation is almost a certainty, setting off another round of “ping-pong” in this long-running dispute. The focus now shifts to clarifying the rules for the 2016 general. According to the Post, at last week’s hearing, SoS Kobach said that Kansas “will retroactively allow voters to cast ballots in federal races if their applications were canceled solely because they did not document citizenship.” How that works in this fall’s vote – and how many voters it affects – remains to be seen. Needless to say, this is an important ruling on several fronts: proof-of-citizenship, state-federal relations, administrative law and even the immediate future of the federal courts. I’m tempted to say it looks like this matter is settled for the time being, but the lengthy history of this dispute suggests that the better approach is … stay tuned. 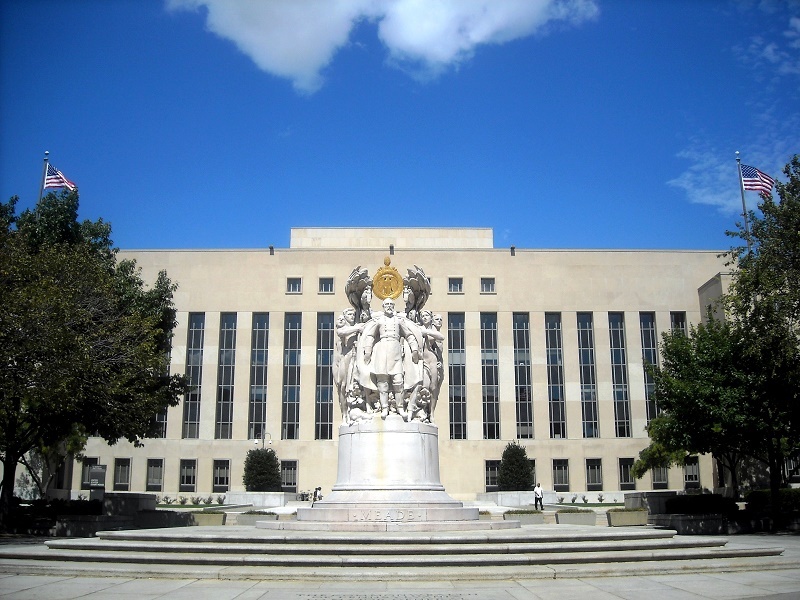 Be the first to comment on "DC Circuit Blocks Proof of Citizenship Requirements for 2016 Election"